If for you holidays rhyme with calm and change of scenery, this article is made for you! In total harmony with luxuriant nature, our villas know how to combine charm, rusticity, and authenticity with comfort. In the middle of the nature of Morocco, in the heart of hectares of greenery, or at the foot of a natural park, you will be spoiled for choice. Discover our 7 charming villas in the heart of the countryside. In the heart of the countryside of Essaouira, the Dar Douja promises you a luxurious stay between Moroccan traditions and natural landscapes. 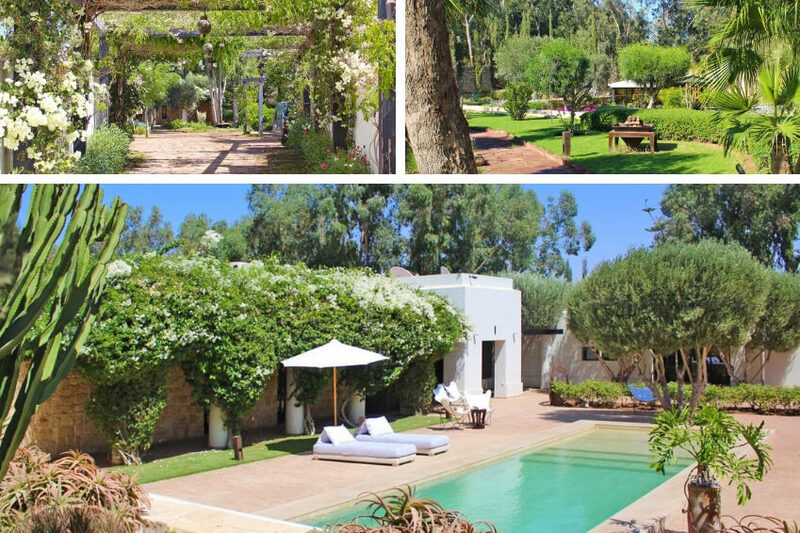 This sublime property promises a holiday in privacy, since it nestles in a green setting of 5000 m², sheltered from the crowd behind a high stone wall of Essaouira. This white house is bright, and although it is located in a rural setting, it mixes contemporary design with Euro-Moroccan elegance. Its sleek design will contribute to your quest for serenity and tranquility to ensure your wellbeing amidst this lush environment. From its large dining room, you can relax to the sound of its fountain on the patio. Its garden is composed of several lovely nooks and crannies, flowered and embellished with plants just as ravishing as each other, like a labyrinth, to its summer living room and the reading tent. To further exalt this relaxing experience in harmony with nature, we invite you to enjoy a swim in the private pool, lined with white roses. Finally, you will be able to indulge in a delicious traditional meal consisting of artisan products, prepared by the house staff. Located in the heart of Tuscany, Villa Leandro is a beautiful country house with a magnificent view of the natural panoramas of Val Tiberina. Spread over 15 hectares, its green gardens, wide variety of flora, and stone walls will undoubtedly transport you to the heart of the Italian countryside. Among its green landscapes, you will find a small pond with a sense of wellbeing and tranquility. From the swimming pool you can admire the lush nature that surrounds you. You will feel that you have the whole world to yourself. The interiors, the wooden beams on the ceilings, the brick vaults and the old wooden furniture all contribute to the country atmosphere that reigns over the property. Mixing rusticity and luxury perfectly, its facilities offer an undeniable comfort. As you can see, Villa Leandro is ideal for a luxury holiday in the heart of the Tuscan countryside. A former Tuscan farmhouse, the Cetona villa has been renovated with care and taste, to create a refined interior with a lush and elegant atmosphere, while safeguarding its family-friendly atmosphere. Regarding its interior, the rooms offer a feeling of softness, calm and tranquility. Its living room has a large fireplace, ideal for family reunions. Perched on top of a hill in the middle of 50 hectares of woods, olive trees, and other beautiful plants, the villa offers exceptional views, admirable from many parts of the house. Its exteriors are composed of several terraces from which you can enjoy delicious meals, a huge garden, a private pool, not to mention a barbecue to enjoy the great outdoors. Do not miss your holiday in the peaceful setting of the Italian countryside. 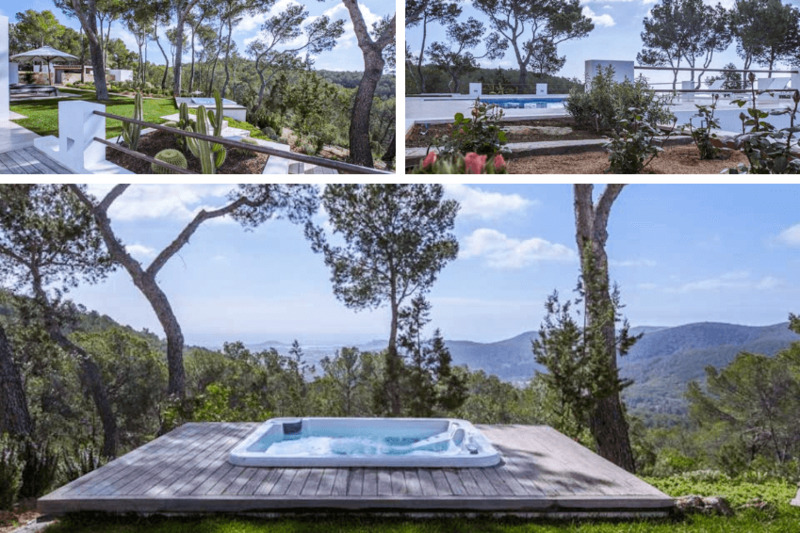 Villa Ainoma is a charming house located just outside the medieval village of Palafrugell. This Spanish village is home to small cobblestone streets, historic churches, and surprising architecture, with an appreciable authenticity. As for the property, it promises a holiday in a rural setting, offering the peace and charm of the countryside. Located in a large private park, it is only a few kilometers from the beach, offering a variety of natural landscapes. It has been furnished in a traditional and elegant way, offering a particular country atmosphere in each of its rooms: find a grand piano in one, vintage storage units in the other. But it goes without saying that the main feature of this villa is its exteriors: extensive private garden, tennis court, private pool...All surrounded by nature, and isolated from tourist nuisances. Villa Ainoma is undeniably the answer for those looking for a holiday far from the stress of everyday life. 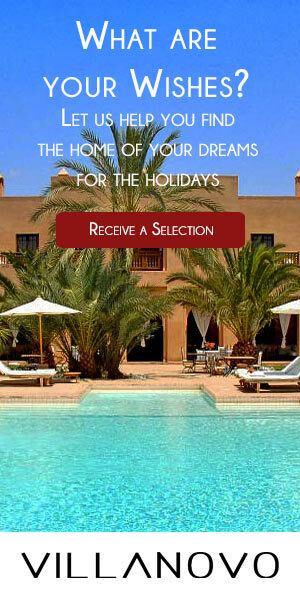 Still in Spain, Villa Naturaleza, as its name suggests, is the epitome of the introduction of luxury in nature. Located in Marbella, it is one of the most exclusive and secure private residences in the country. The effect of this amazing marriage is accentuated by the organic materials used: its large glass windows opening to the visitors onto the hectares of nature just waiting to be explored, marble in its bathrooms, and solid wood found in many of his furniture. No matter where you are in the villa, you can admire this exceptional panorama where green predominates. From its private outdoor pool, you will feel alone in the world amidst the towering mountains. We guarantee a holiday of wellbeing, further encouraged by its jacuzzi, sauna and gym. If you are looking for a luxury holiday in the heart of nature, the villa Naturaleza is for you! On a plot of over 20,000 m² in Ibiza, the magnificent Villa 801 is perfectly located in San Rafael, just 10 minutes drive from the city. And yet, the villa is a small haven of peace isolated from urban nuisances. Indeed, what makes it special is its harmony with nature. In the midst of impressive trees, green landscapes, rich and varied flowers, and mountains, we guarantee a stay in the heart of the flora. Enjoy a swim in the private pool cradled between mountains and sea, relax in the jacuzzi in the middle of the garden and surrounded by green landscapes, enjoy a good meal in the middle of the forest, wake up among the trees...Do you dream of an exotic and relaxing stay? Do not look any further! Finally to France, in the heart of the Alpilles. Not far from the Provençal village Maussane les Alpilles, nestled in the scrubland and pines, is the sublime and charming Villa Magenta. 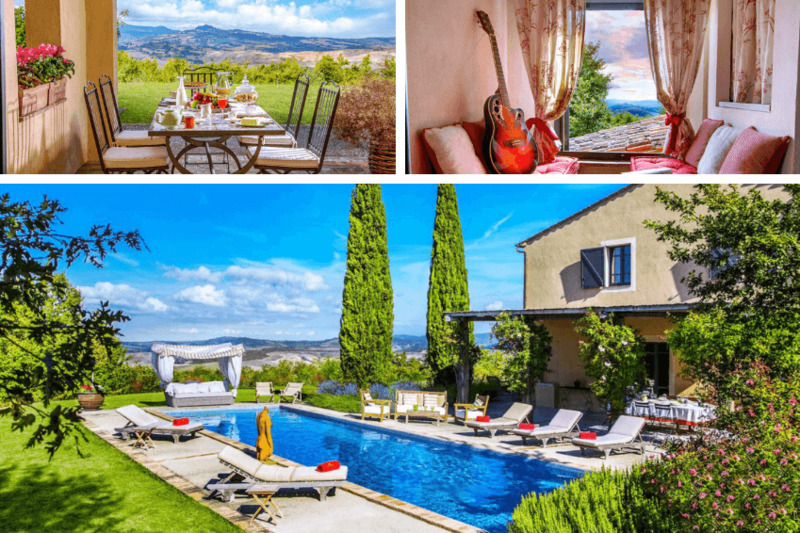 Located on the foothills of the Alpilles National Park, the property promises a stay rich in nature. Upon your arrival, a path in the middle of trees, and lavender plantations leads you to the property. Its pool, meanwhile, dominates the natural landscape that surrounds it. Look to the right, and admire beautiful mountain ranges, look to the left, you will see the charming countryside of southern France. 1km from the property, in the scrubland, you can indulge in many walks or bicycle rides, surrounded by bucolic landscapes. Finally, in the interiors of the villa, it is a chic Provencal style that is offered to you. Each of its rooms has direct access to the garden to allow you to enjoy the fresh country air at your leisure. Lovers of Provençal landscapes in search of calm and refinement will find their happiness!